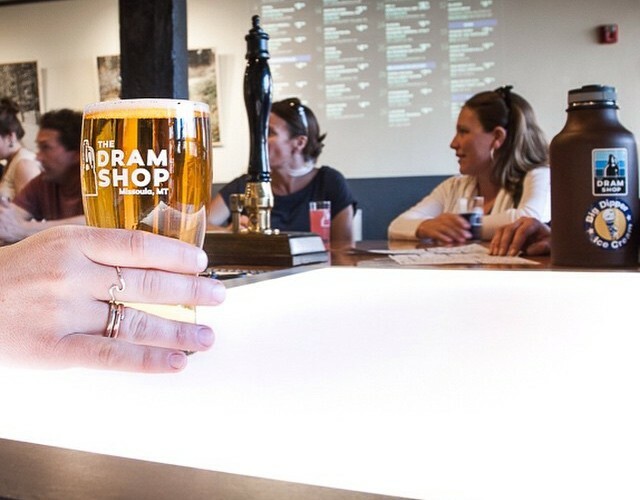 Ever wonder what that sideways keg and crazy tangle of beer tubes is that you see at the front of The Dram Shop every weekend? Well, you’ve come to the right place! 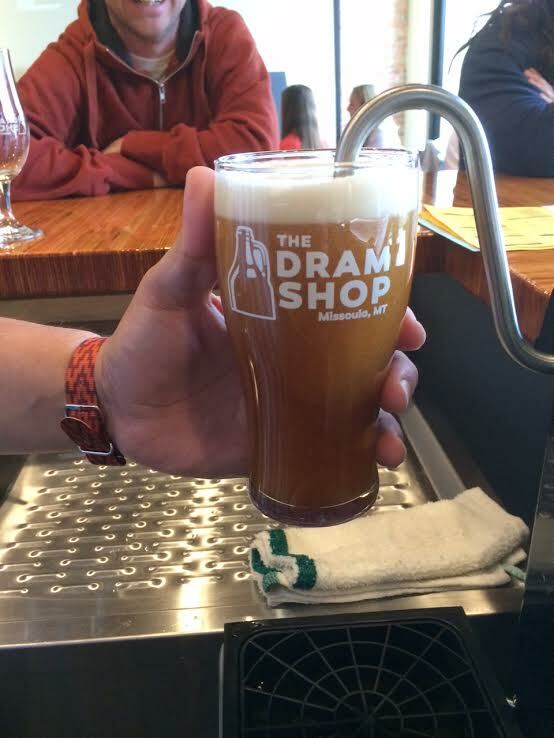 What we’ve got here is a bonafide explainer on what is called Cask Beer. 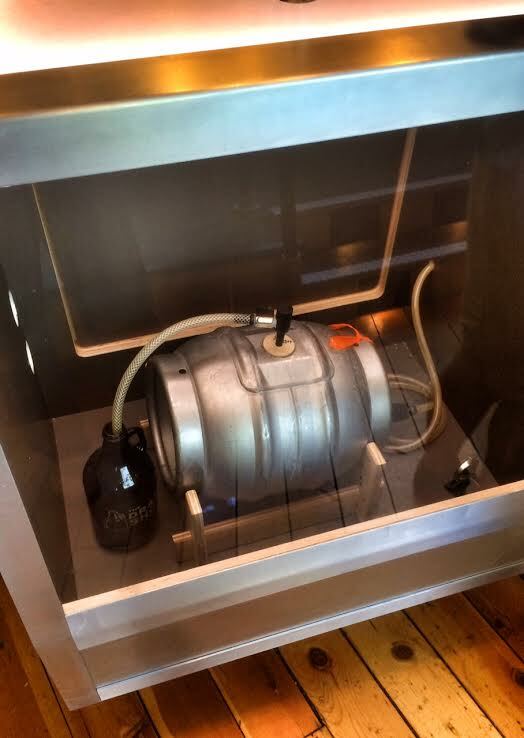 Cask-Conditioned beer, which is unfiltered and unpasteurized, is served from a traditional cask without additional nitrogen or carbon dioxide (CO2) pressure. What is a cask you ask? A cask is simply a term for a container that has been used dating back to Babylon in 424 BC, where there is reference to ‘casks of wine’. During the Iron Age, Northern European Celts developed wooden casks held together by a band of metal. This basic design is still used today, although most casks of beer are now stainless steel. By the 17th Century, bottled beer was commonplace, although expensive. The bottles were mostly consumed by elites who eschewed the common pubs for their rowdy publicans and tumultuous environment. For commoners however, it was off to the pub for a bit of the pint, and the beer that was drunk came right off of a cask. As beer styles became lighter and lower in alcohol, it became more of a challenge to keep them preserved in a cask. 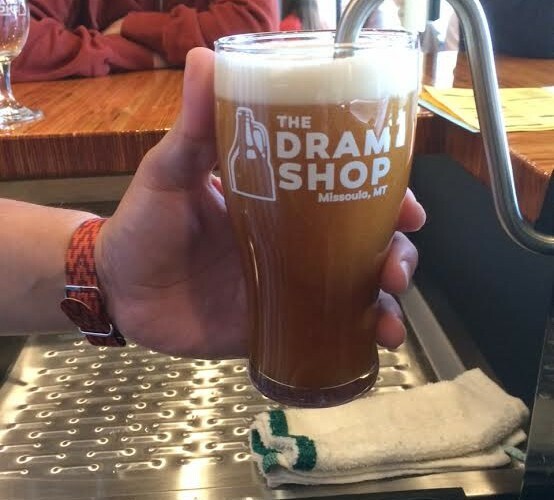 Louis Pasteur’s sterilization coupled with more modern refrigeration methods certainly helped in warmer climates, but in many cooler parts of the north, traditional cask beer remained largely unchanged. Okay, let’s back up for a minute and go over some of the things that make cask beer unique. A cask is quite a bit different from a keg. First off, there is no downtube ensuring every last drop is used. Casks are designed to capture yeast and other large particles in the bottom as the beer is poured off. 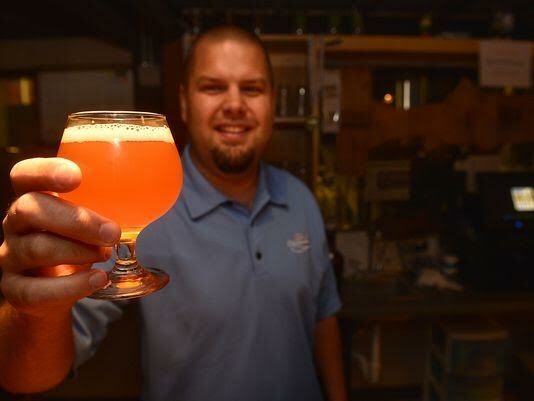 Kegged beer is filtered, fined, or centrifuged, making this action superfluous. 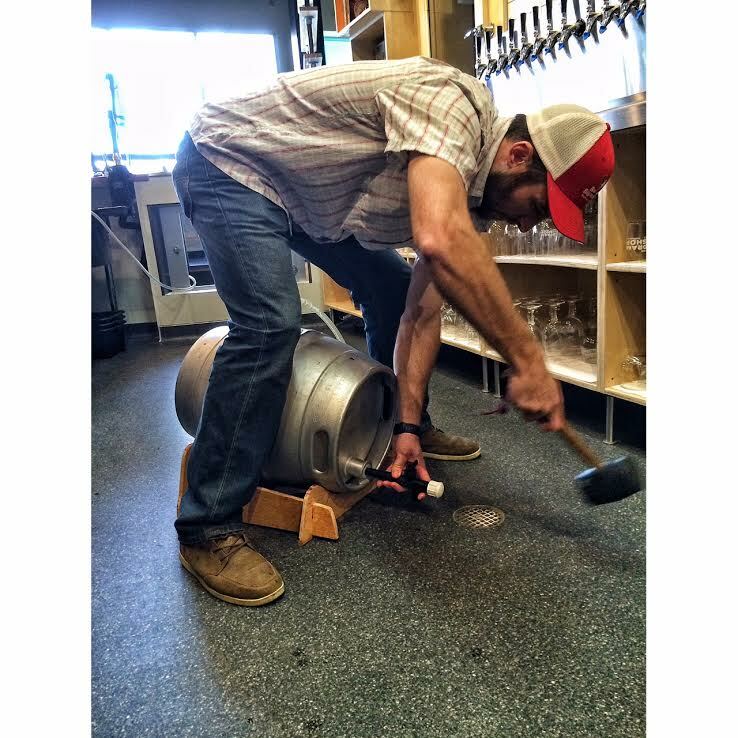 Secondly, kegs use ‘head pressure’ provided by CO2 being pushed onto the beer to force it out of the faucet. 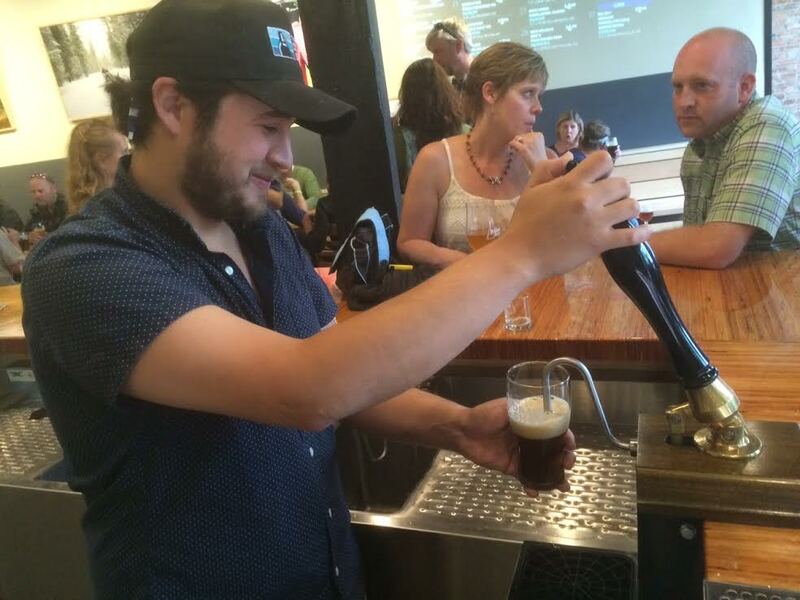 Cask beer is served one of two ways. If the cask is on a counter or bar top, a spigot is used to simply let gravity fill the glass. If the cask is stored below, a ‘beer engine’ is used to suction the beer up and into a waiting glass. In this instance, casks would traditionally be kept in a cellar, remaining at 55 degrees, the traditional temperature that cask beer is served at. At The Dram Shop, we keep our casks in our cask case at the front of the shop, which is chilled down to our lovely 55 degrees. So that mostly covers the hardware part. Next, let’s talk about the beer itself. By the 1970s, the majority of draught beer was artificially carbonated, pasteurized, and filtered. That means that the beer is brewed and fermented normally. Then, when the beer is ready, it is heated to 161 degrees, run through a filter that removes all of the large particle proteins and sugars, and force carbonated with CO2 to augment any shortcomings. You end up with a clean beer that has an extended shelf life before turning sour. In order to make cask beer, you would capture beer in a cask after primary fermentation. At this point additional yeast and sugar or some kind of sweetener are added for a secondary fermentation inside the cask. Finings are added to assist in the dropping out of the yeast as well. Often times brewers add adjuncts at this point, such as hops, fruit, or other flavor enhancing ingredients. All of these additions stay in the cask, making for a cloudy appearance and often times a bigger mouth feel and more complex flavor profile. 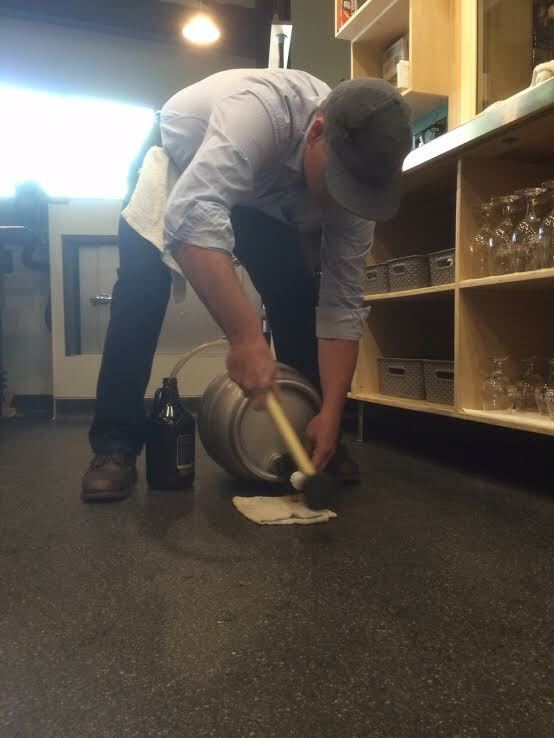 We love serving cask-conditioned beer at the shop and tap a new cask every Friday afternoon! The casks are from local brewers at Big Sky Brewing Co. and KettleHouse Brewing Co. We get to help come up with some crazy recipes that are fun to drink! This Friday, we will be tapping a ‘Cherry-Chocolate Moose Drool’ that ought to be pretty delicious! 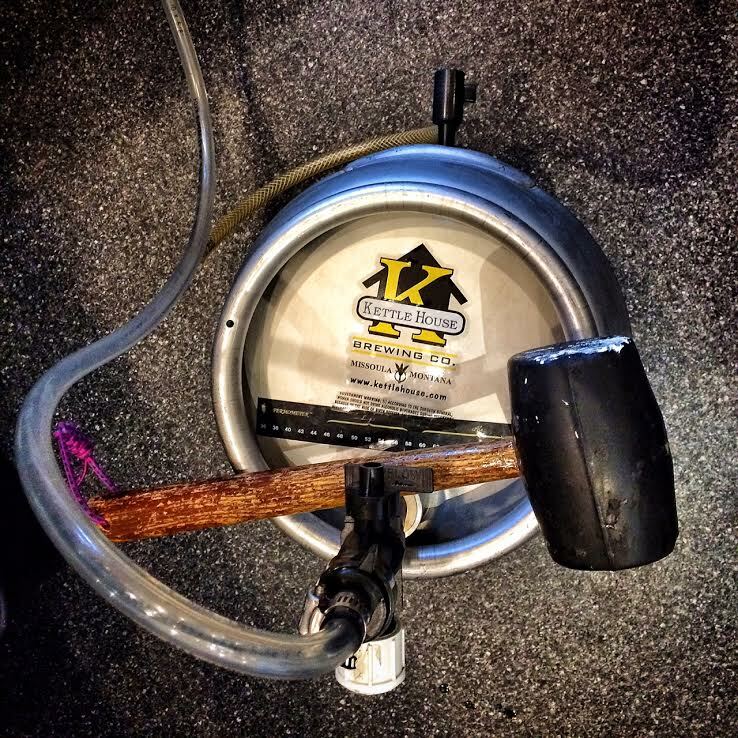 Come see us this weekend and we’ll have fun trying some cask-conditioned beer together!